Every quarter I share with you some of my current favorite beauty finds! This is the perfect time to share this as we all begin thinking about holiday gifts of self care and indulgence. Click through for details of my current favorites! Makeup, skincare, haircare and fragrance — it's all here and perfect for the people on your list! I do a lot of work with Sephora inside JCPenney and when they sent me a few of their gift sets to try, I was blown away! I think these are brilliant for gift-giving (you may have seen them in my Instagram stories a couple weeks ago!). My favorites are the fragrance sets. Perfume is a great gift BUT it's hard to know what someone would actually wear. 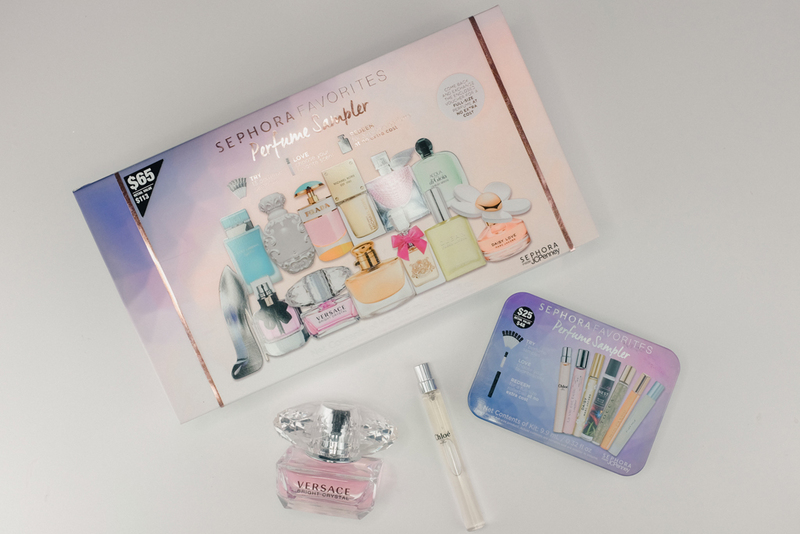 These gift sets include samplers of many different scents and then include a voucher inside for the receiver to redeem it for a full sized bottle of their favorite! For the large Perfume Sampler, I went with the Versace Bright Crystal. And for the smaller roller ball sampler, I went with my old favorite Chloe. There is even a men's version! Check out all of their gift sets — I post a round up of my favorites here! Pick up these sets in store at your local Sephora inside JCPenney. I've stanned Colourpop for a while, but it's been ages since I've purchased from them. I have A LOT of their lip colors (like, laughably a lot), so I took a break for a while. 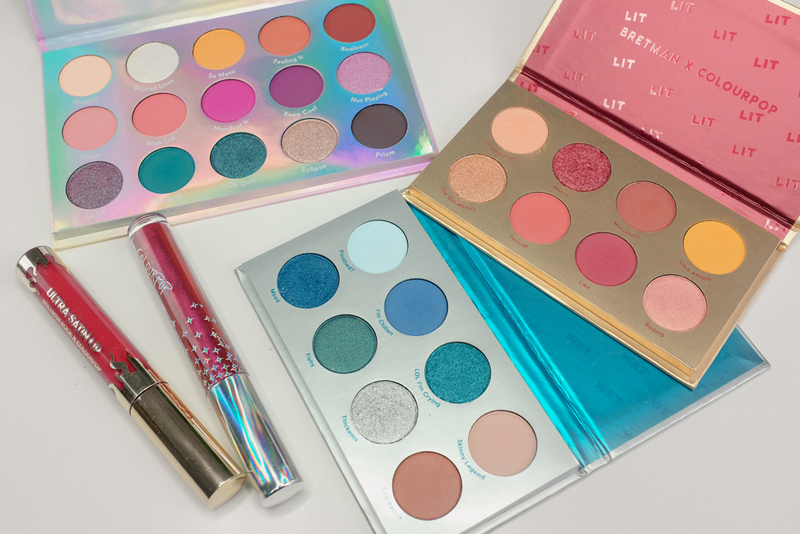 I normally don't pay attention to Vlogger collabs, but the Bretman x Colourpop collection had such lovely colors that I ordered them on their release day. I've always found their pressed shadows to be pretty great for the price. If you have someone on your list that loves playing with color, this is a great gift that won't break the bank. 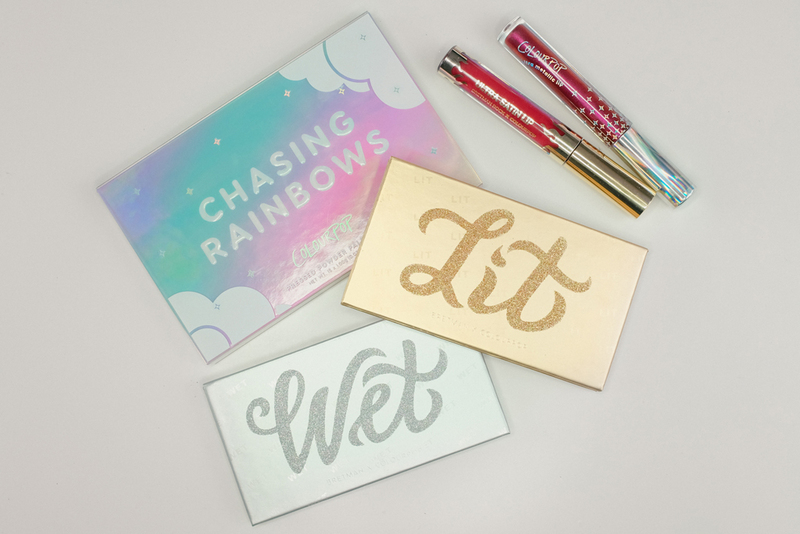 The larger palette is from their newer Chasing Rainbows collection, and the two on the right are the Bretman collabs. You may have seen my post about the Lit palette here, and I posted the Wet palette in my stories. They colors are rich and pigmented! The top color is from the holiday collection — Nimbus — described as a metallic sangria. The bottom is the Bretman collab in Wig. 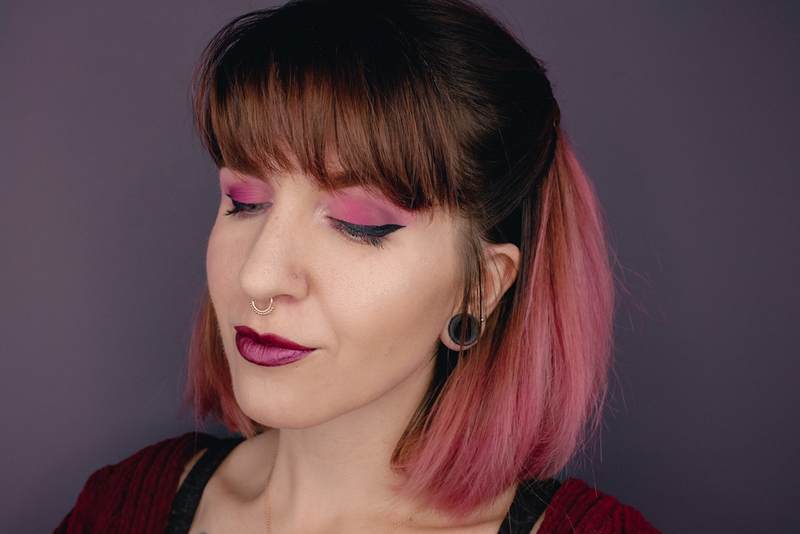 This look was created using the Chasing Rainbows palette (pinks and purples, with some of that highlight in the corners), plus Nimbus on my lips. I posted about The Davines hair care in my last beauty round up. and I was surprised when another box from them showed up on my doorstep. This time, they sent me their Skin Regimen line. In the box were the Cleansing Cream, The Tripeptide Cream, and the Microalgae Essence. I normally am very loyal to my oil cleansing routine, but I packed these during my trip home over Thanksgiving and I'm totally gaga over them! The price point is high, but my skin feels absolutely incredible — which is saying a lot considering we're already in the throws of winter here! If you really wanna treat someone to a luxurious skincare gift, this is the one! Manic Panic takes me back to my high school and college days. It slipped under my radar for a while but recently resurfaced as I was finishing up my last bottle of Arctic Fox — a brand I wanted to get away from after reading about the owner's racist tendencies (NO THANK YOU). Since my recent hair color change, I've just been mixing pink dye in with my conditioner. Manic Panic is perfect for this and is affordable, gentle, and I have great results. I've been using it in Cotton Candy Pink, which coincidentally is what I always used in college! ♥ Manic Panic makes a great gift for someone you know who is always coloring their hair — and they even make makeup too! Everyone is talking about collagen lately and I jumped on the bandwagon with this Skin Active Scientific Collagen Serum. 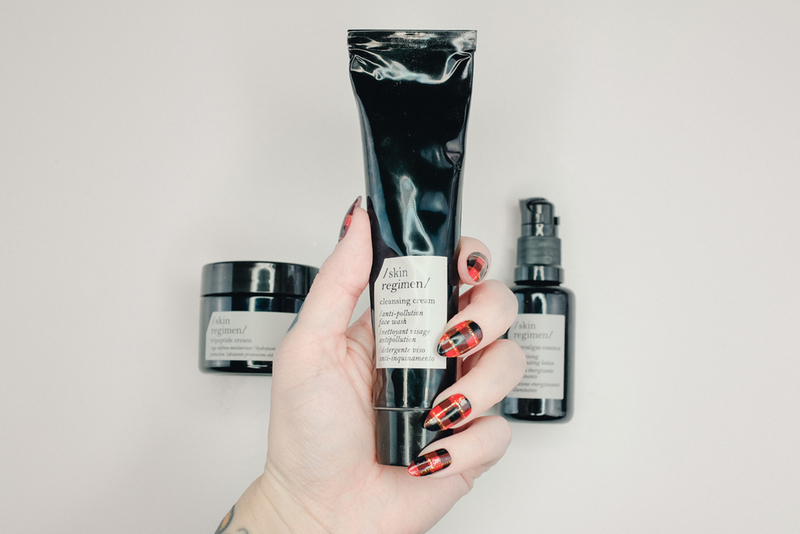 This is one of their best selling serums and I can see why! I use it daily to battle wrinkles, especially in my forehead, laugh lines, and neck. 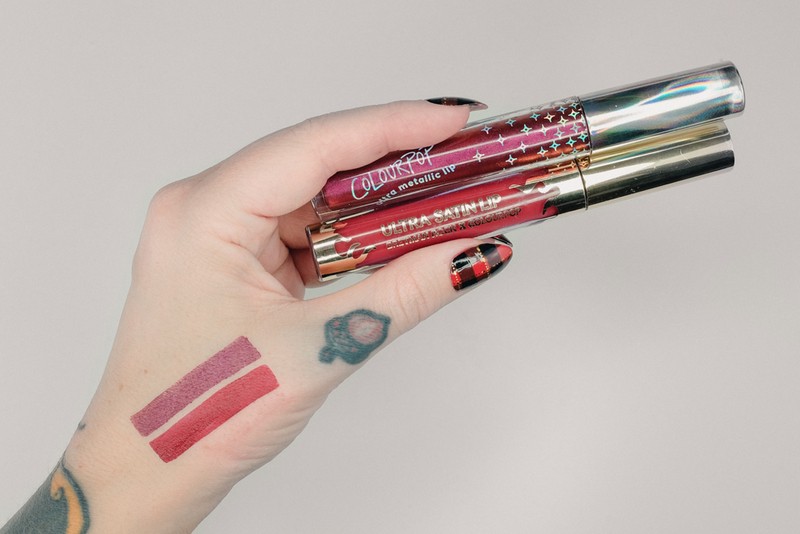 I'm always on the lookout for a beautiful gloss! La Bella Donna sent me this lip sheer in the perfect shade of Assunta. 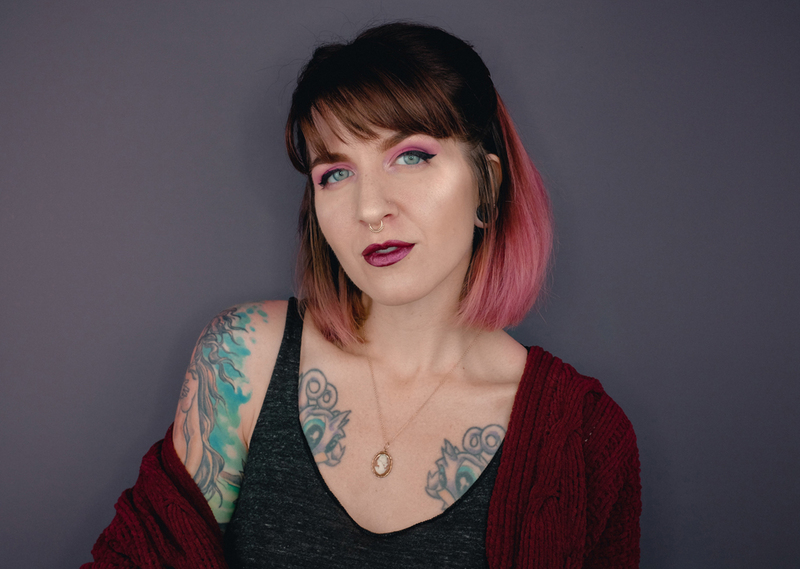 This natural mineral makeup company has a lot of beautiful products that would be great for the person on your list who likes makeup but keeps their look more on the "natural" side! And finally, Prose! Prose has been such a unique hair experience for me and I've been so excited to share it. At this point, I've been using it for about 3-4 weeks and I absolutely love it. The packaging, the personalization, and the smell. What makes this such a great product is that you can customize it to your hair needs — everything from hair type and texture, to your goals, all while factoring in the environmental needs for your hair. I followed their consultation and Prose determined that I have a lot of damage (yep!) and dryness and needed help combating those along with dandruff. My goals are to have volume while smoothing my cuticles and adding shine. Included in my custom kit was a pamphlet that went into detail about what is in each and how they will help my hair, plus the routine I should follow for my best results. My hair, although damaged, has been feeling better since I've been more exact with my routine and avoiding heat styling. Thanks Prose! 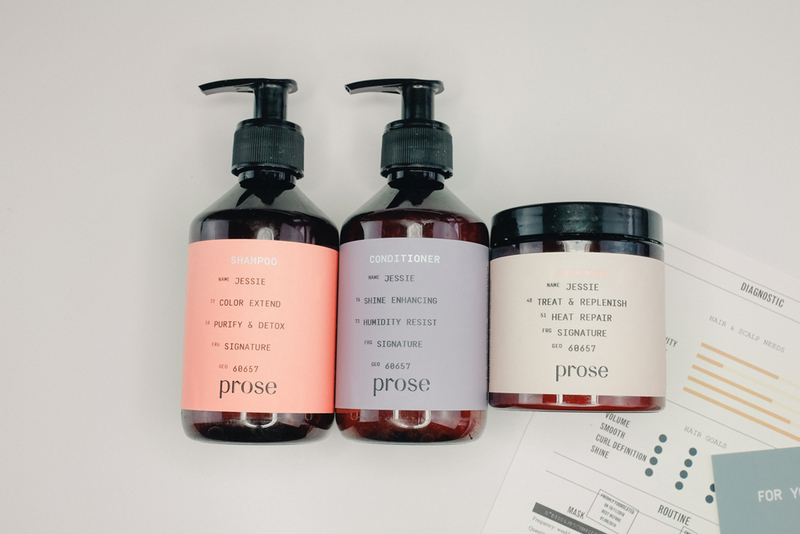 I absolutely love the Prose experience and it would be an amazing custom gift for someone close to you! What are you giving for gifts this year? 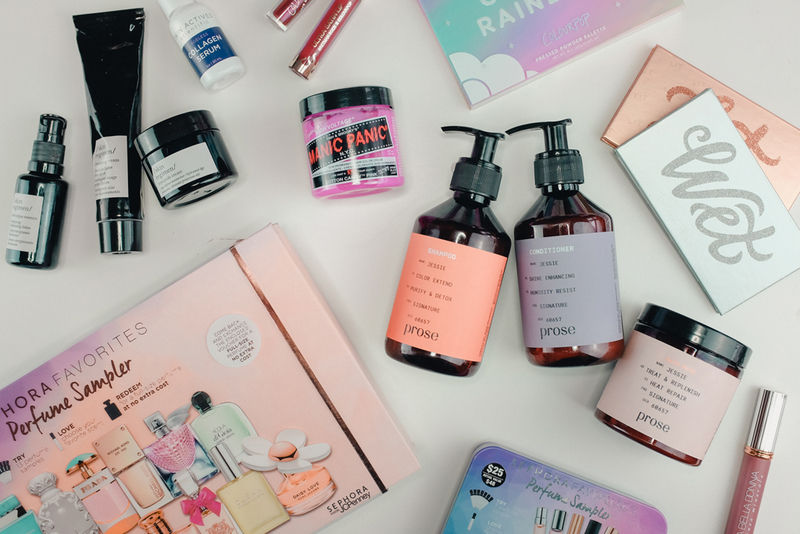 Sephora Favorites, Skin Regime, Manic Panic, Skin Actives, La Bella Donna, and Prose are all gifts courtesy of the brands and PR agencies. Other items have been purchased at my own accord. All opinions are my own. Thank you for supporting brands that support Mini Penny Blog!